Dementia 13 already, the Apocalypse is coming right the f*$% now. Welcome back to Cult Films 101, where this week's film is Dementia 13. This is a b-horror movie about some folks jockeying to inherit a fortune but instead meet untimely ends at the blade of an axe murder, and it's an example of the third main type of cult film...The Corman. Made in 1963, Dementia 13 was written and directed by Francis Ford Coppola. 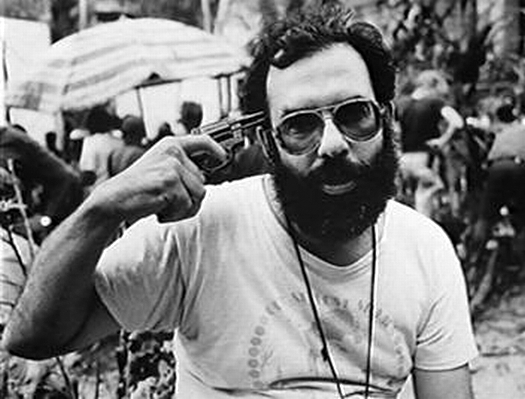 Now, from 1972 to 1979, Francis Ford Coppola had about as good a run as any director has ever had, cranking out four consecutive, unassailable film classics -- The Godfather, Parts 1 & 2, The Conversation, and Apocalypse Now. 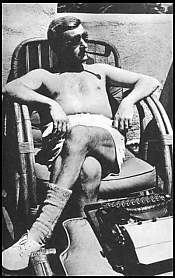 But ten years earlier, like so, so many fimmakers of his generation, he was working for Roger Corman. If you ask my honest opinion, I'll tell you that Dementia 13 is a good movie. It manages a not inconsiderable bit of atmosphere, has a number of memorable scenes, inventive camera work, and it clips along well enough for 70 minutes to keep you entertained. But let's be honest, the real draw here is that this was Francis Coppola's first credited directing job. This trait is the unifying factor for The Corman category of cult movies. They could be good, bad, or indifferent, but they launched the careers of filmmakers who subsequently went on to make remarkable work. Most often, these movies will have been made under extremely tight budgets and restrictive production circumstances (often both, and for Roger Corman), and sometimes those conditions will have gotten the better of the movies and made kind of a mess of them. But we watch hoping for that flash of genius, the little recognizable spark that, with hindsight, we can point to and say "That! There's the birth of something amazing!" optional but high socks are totally required." At the University of Texas, my alma mater, the Harry Ransom Center contains many, many treasures. One of them is a letter a young William Faulkner wrote to his mother. It is the first piece of writing in which appears, fully formed and breathtakingly, the style that is now recognizable as William Faulkner's "voice." When we watch films like Coppola's Dementia 13, Christopher Nolan's Following, Wes Anderson's short film Bottle Rocket, Katherine Bigelow's Near Dark, or watch a 20-year-old Jack Nicholson in The Cry Baby Killer or Crispin Glover and Sean Penn in The Beaver Trilogy, we're looking for the joy of that discovery. And also, it makes us feel better to know that Francis Coppola started with Dementia 13 and Battle Beyond the Sun before becoming a genius. It gives us hope. Because if everybody had to crank out a Reservoir Dogs or The 400 Blows right out of the box, aspiring filmmakers everywhere would be burying their dreams under a stepping stone in the back yard as we speak.